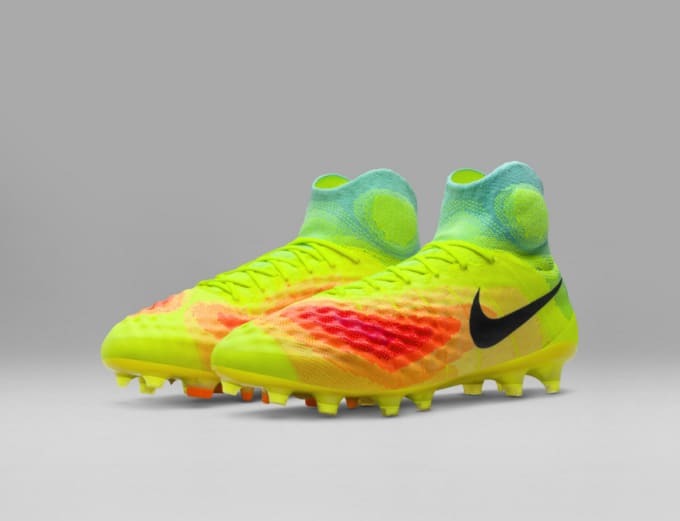 Nike have just unveiled the long-awaited Magista 2. 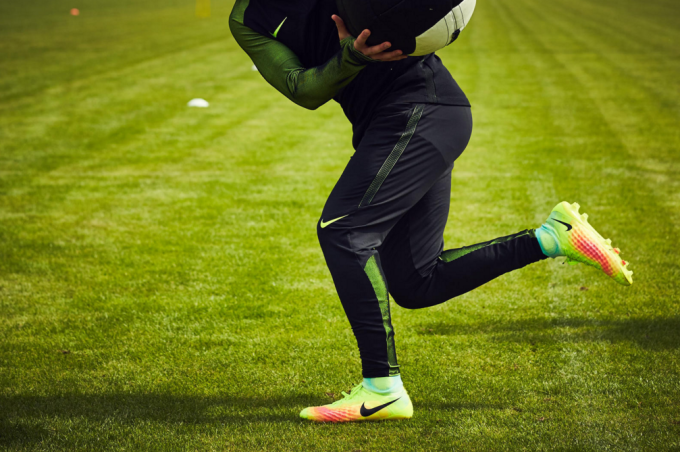 The first Magista changed the face of boot design, with its mid-height collar and Nike Flyknit Technology, redefining the feel of what players wear to tighten the gap between the brain and the ball. The new Magista emphasises evolution in touch and traction thanks to advances in scientific testing and rapid prototyping. A 3D print tested upper featuring peaks and troughs of varying dimensions, a marked transition from the upper of the original which was uniform throughout. These peaks and troughs utilise the same amount of materials as the original Magista through the use of negative space, with the highest (4.5mm) in premium touch areas, aligned with where the foot should come in contact with the ball. 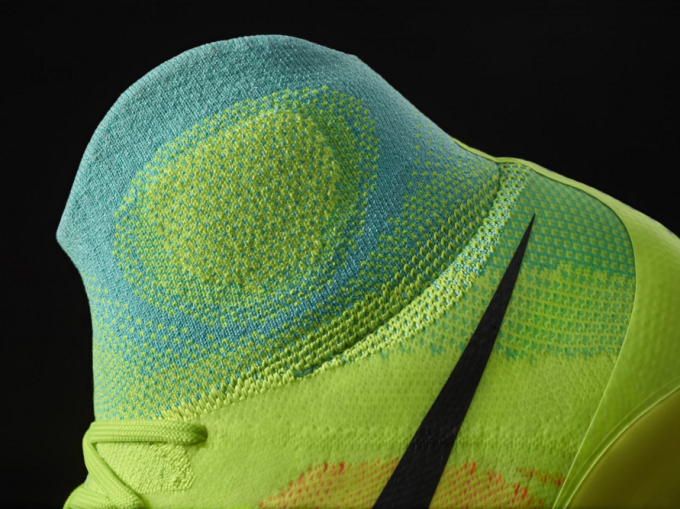 The Magista 2 colourway is inspired by heat maps that informed the boot&apos;s design. Another development is seen in the more anatomically contoured Dynamic Fit Collar, designed to accommodate the shape of the ankle bone while leveraging a thicker knit structure for additional coverage. The revamped collar also dips lower on the tendon for comfort. The tongue-less solution now features light padding under the laces for coverage in this high contact area.